Glenn Webster is a 41-year Army veteran who commanded units in Kuwait, Iraq, Afghanistan and the United States. A graduate of West Point, General Webster commanded at every level from platoon to division and field army. His operational experience includes assignments with five different Army divisions, two combatant commands, and twice with a field army and land component command. General Webster commanded a US tank battalion, training it in the US and in Germany. He was then selected to be the senior Armor and Cavalry Observer-Controller (OC) at the National Training Center (NTC) after DESERT STORM. He was the Commanding General of the NTC from 1998-2000. At the time of the September 11th attacks, General Webster was serving in the Pentagon as the Army’s Director of Training. Shortly thereafter, he became the Deputy Director of Operations for US Central Command, performing operational oversight for Operation Enduring Freedom in Afghanistan, and throughout the CENTCOM area of operations. 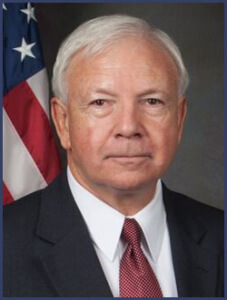 One of the Army’s premier trainers, General Webster was hired in 2012 by the Chief of Staff of the Army to work as a senior mentor, working through the US Army War College to coach and teach senior level leadership, organization, and training. General Webster is a graduate of the US Military Academy, the US Army Command and General Staff College, the US Army War College, and the School of Advanced Military Studies with a Master’s Degree.